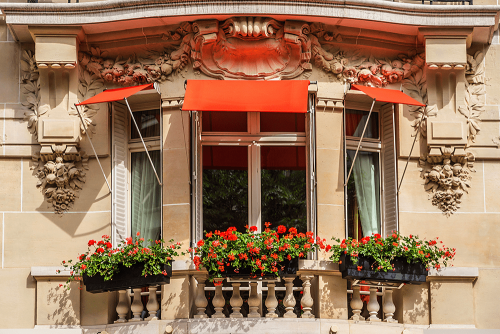 Capital gains tax – impôt sur les plus values – is a tax payable in France on gains arising from the sale of land or properties. Capital gains are calculated as the difference between the sale price and the purchase price or the value that was reported when the property was received as a gift or by inheritance. Rules governing capital gains tax vary in accordance with the sale price, the nature of the asset, the country of residence of the seller and how long the asset has been held. Capital gains made on the sale of assets are exempt when the sale price is under €15,000. Sale of a principal residences are totally exempt, regardless of how long the property had been owned. Capital gains achieved on properties sold when the property has been owned for 30 years or more are also exempt. In other cases, the vendor is liable to pay tax and social security charges (CSG, CRSG) on the net capital gains. Home improvement expenses (extension, double glazing, new kitchen etc) are deductible from the sale price as long as the vendor has kept invoices and proofs of payments and has not already deducted these expenses for other purposes. Alternatively, the vendor may use a flat rate deduction equal to 15% of the purchase price. To be eligible, the vendor must have owned the property for at least five years. Sale fees can also be deducted from the sale price. These may include the costs incurred to complete the mandatory certificates and surveys (eg Energy Performance Certificate) as well as the fees the fiscal representative may charge. Fees including stamp duties, notary and agent fees which were incurred when buying the property can be added to the purchase price. By default a flat rate of 7.5% of the purchase price can be used. This is effectively an allowance for the duration of ownership. 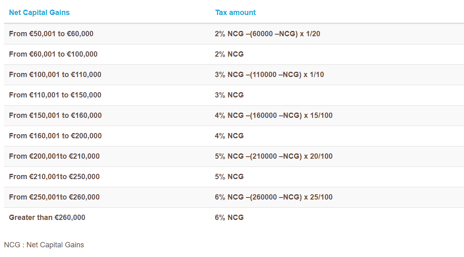 In addition, social charges of 17.2% apply to Capital Gains Tax.